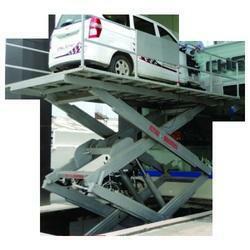 Manufacturer & exporter of a wide range of scissor lift tables. Also deals in hydraulic jacks, cranes, stackers, other lifting equipment and hydraulic lift system from India. 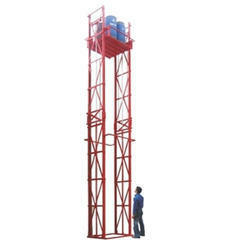 We provide heavy duty & light duty Hydraulic Lift System that are widely used in industry applications. Our hydraulic lifts manufactured by us are the most trusted one in market for there simple & robust design and light weight. We offer a wide range of Lifting Tackle System. These find great usage in electric switchgear, conduit pipes and junction boxes. To connect the hose at one end specially developed fittings are available. The other side has suitable threads for easy joining to electrical conduits.